In the UK we are having an unbelievable spring, Loads of clear, sunny and warm days, it's more like high summer. If this is global warming I say “bring it on”! Naturally it brings some problems with it, the current one being blizzards. There is so much pollen and other stuff coming off the trees that we are in an almost constant “snowstorm”. We even had to wash the boat down today and found that it is dark green underneath. The video I added last time was, it seems, well received. I have added to the video equipment and now have an HD video as well. However, back to the plot, cruising. 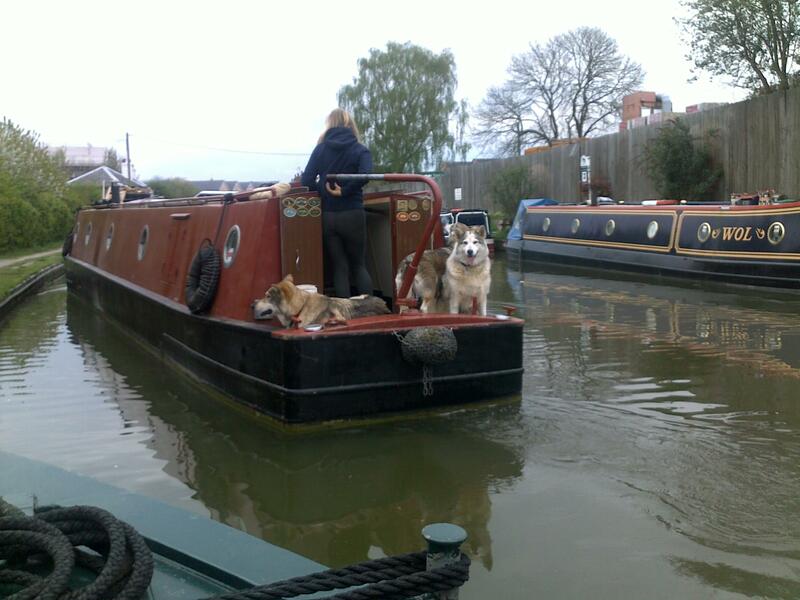 We are heading south down the Grand Union canal towards London at a gentle pace, intending to arrive there just before our plane takes off for the North American countries we are visiting in May. Having been on this stretch of water many times I am trying desperately not to repeat myself too much. First we have to say goodbye to Milton Keynes, always a strange place. They sort of let their imaginations run into strange places, especially at the town centre. I'm not sure what they smoke there but I'd like to know where I could get some. 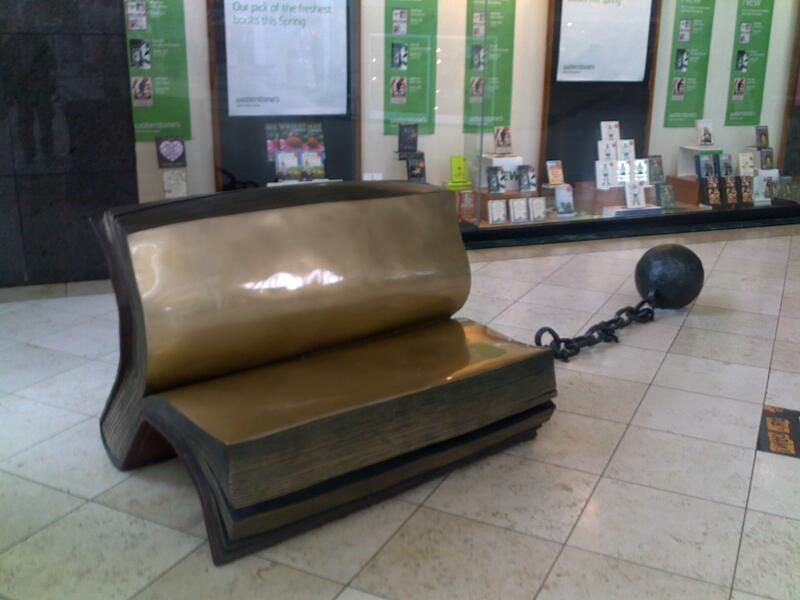 I'm not sure if this is a seat or a warning not to steal their library books but I've never seen anyone sitting on it. 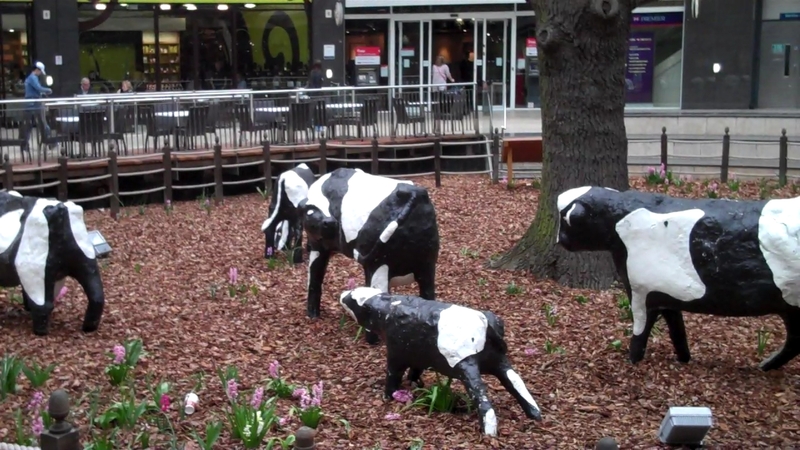 Then there are the concrete cows that Milton Keynes is so famous for. 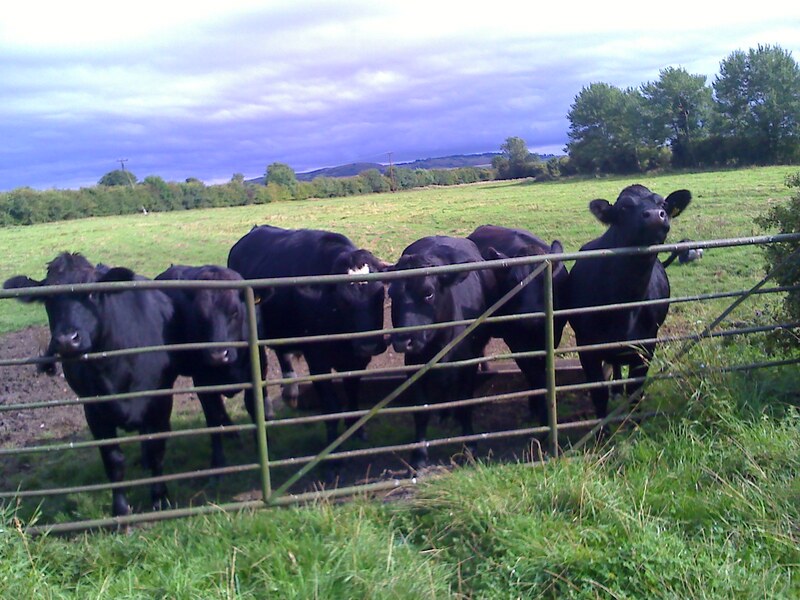 These are the originals, there is a second herd out in a field somewhere. Actually I'm not sure that you can have a herd of concrete, perhaps we need a new collective noun. Actually I much prefer these, much more cuddly, except for that mean looking one third from the right. 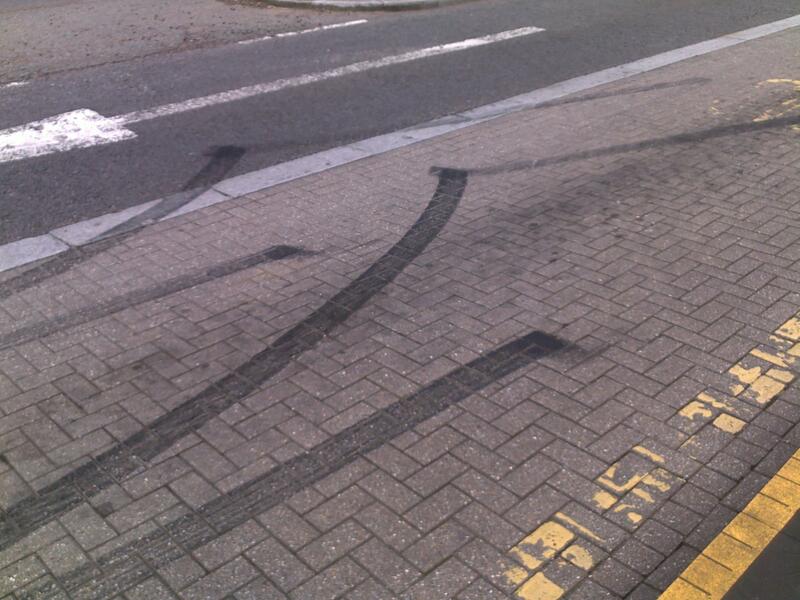 And then I was waiting for a bus and noticed these skid marks, I just could not work out what had happened. Anyone have any clues. It was a dual carriageway with the traffic going from right to left, at least in theory. 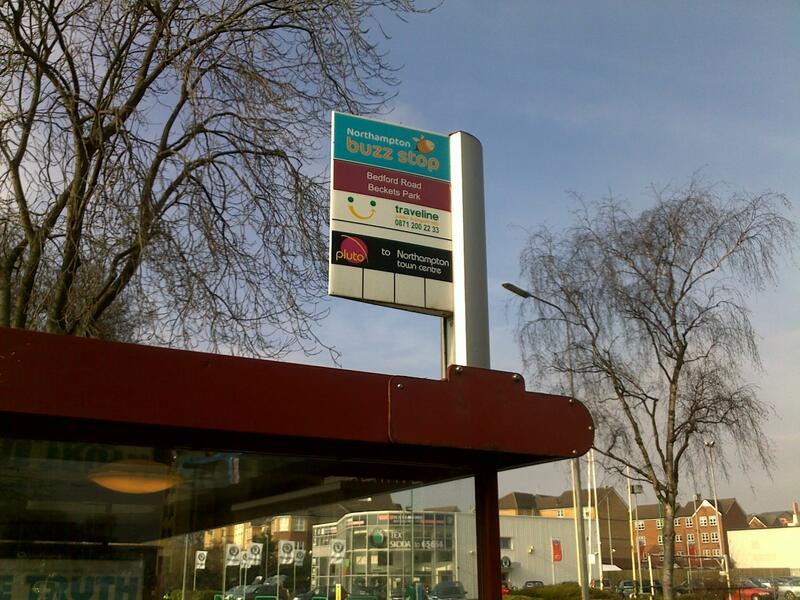 And then there are regional accents around, some people a little further north pronounce "bus" more as "buzz". The local bus company noticed and this is the result. But, as usual I digress, back to the canal! There are ducklings everywhere, everyone counts them so here's a dozen, to us they are known as either waterwalkers (because of the way they appear to run over the water) or simply bite sized. 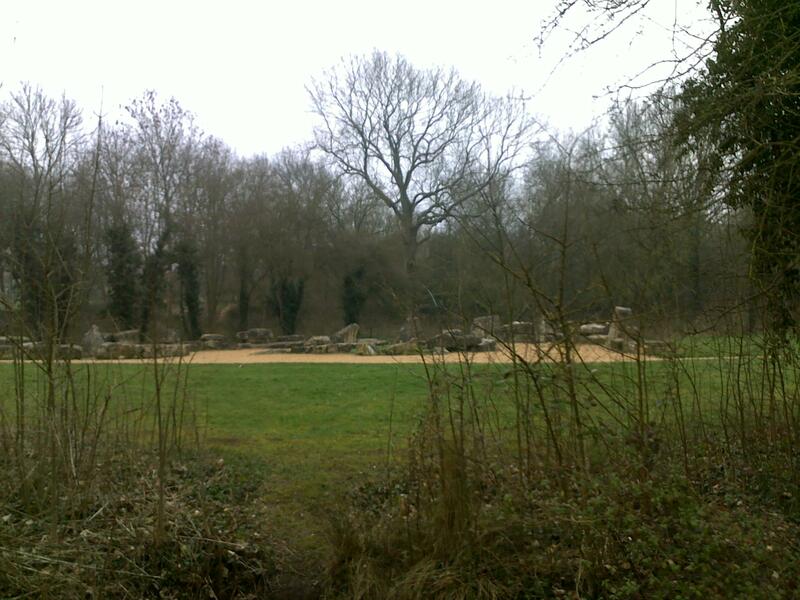 and of course Milton Keynes version of Stonehenge, right by the canal. It makes you wonder how they got the stones there, did people drag them for miles on rollers , or did they just use a tipper truck? 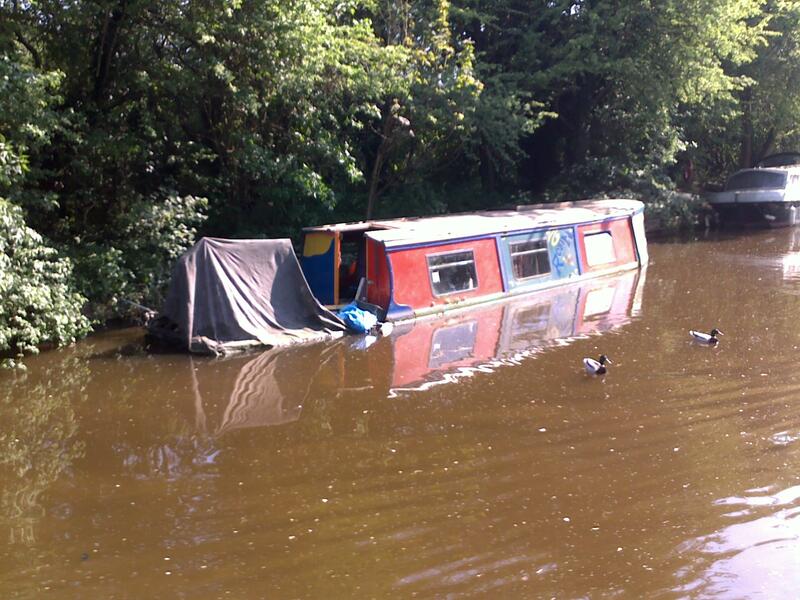 This is also the time of year for sunken boats. Those who for any reason cannot look after their boat during the winter can find it is a little lower in the water than normal. 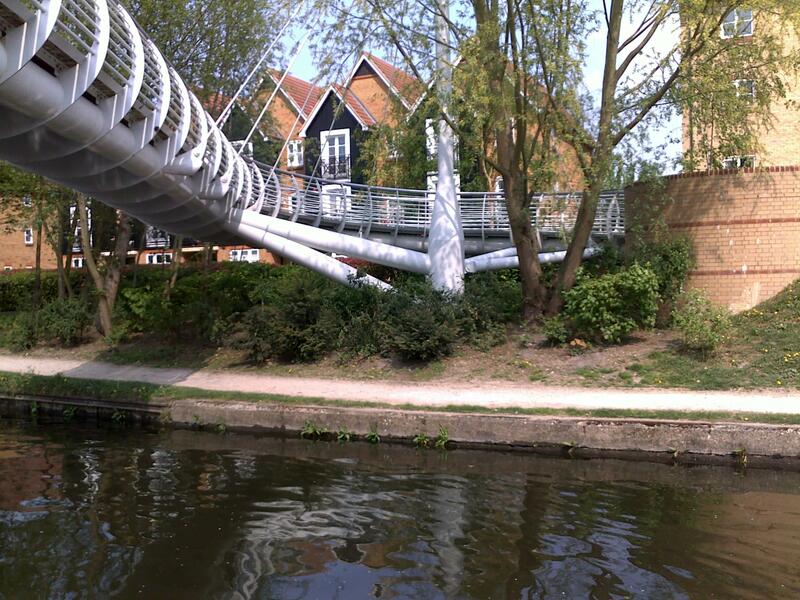 I get the feeling that fun fair type roller coasters are going out of fashion and those same steel fabricators are now churning out footbridges. These seem to be springing up all over the place. I guess they are much easier for the disabled, and dogs, than this one. 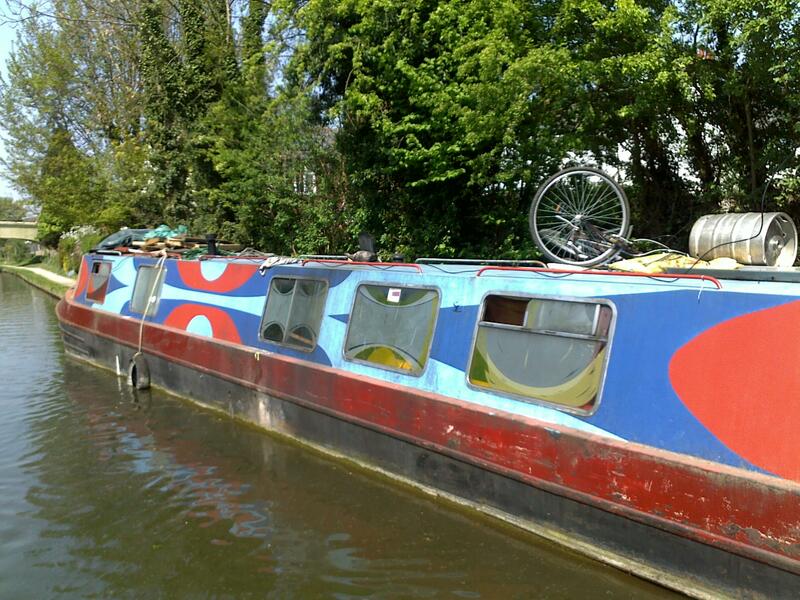 Then there was the boat paint job that really amazed me! Not too many people would consider that their paint job should include the windows. I guess artists are just dedicated to their art. Mind you I'm pretty sure that is a beer keg on the roof. There may be an explanation. Ok, now for the fun bit, the videos. 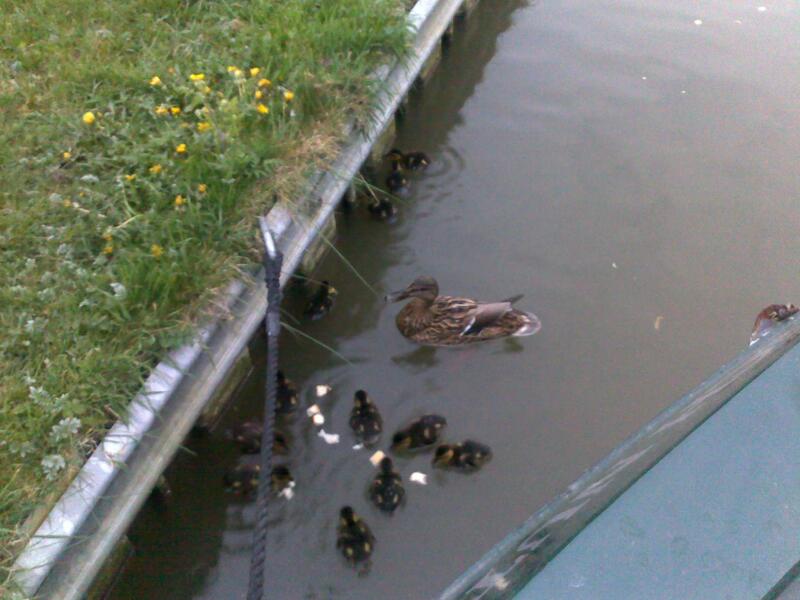 Firstly, you may have noticed that our boat is longer than the canal is wide. So how do we turn the boat? This video shows how it is done. There are places called Winding Holes where boats can turn. I assure you it;s much more fun if the wind is blowing. 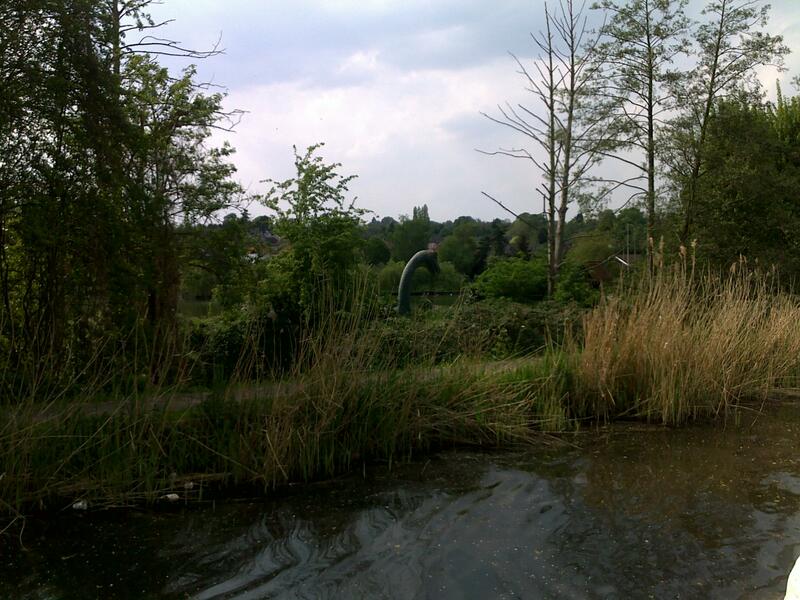 A boat turns on a point close to it's centre which means that you need room to swing the aft end, the boat moored on the left as we approach causes a major obstruction. 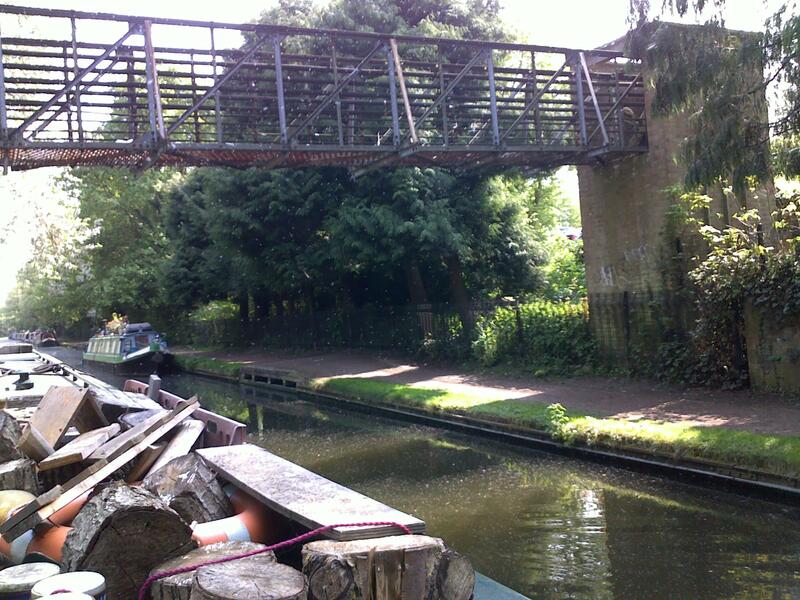 Secondly it is true that you often meet boats on blind bends, this is a blind bend with a bridge. Please note that boats should pass "port to port", or put more simply we are suposed to drive on the right. The clicking noise is me moving from forward to reverse or vice versa. The screeching noise when the first boat draws level is the sound of of branches removing their paintwork. And a short video I named “Duck”. One of the things I really love about the videos is the sound of the birdsong. We mostly don't notice it as it is just part of life for us, but luckily it comes over very clearly in the videos. Lastly a link to an article about legging, used to get boats through tunnels in the days of horse drawn boats. The horse was led over the hill and the men “legged” the boat through the tunnel. Next notes will be called “cruise control notes” as we will be visiting the US and Canada and I get to play with a car again, it will be a novelty. My favourite trick is to simply switch on the cruise control in order to accelerate away from a toll booth, well it makes life more interesting. Don't worry we have booked The Beech Nuts into a very nice marina for while we are away where it can chat to the other boats to it's hearts content. Also (hopefully) a report on Steven's cycle trip to Paris which was a great success. (That just means that he came back wiser than he left).